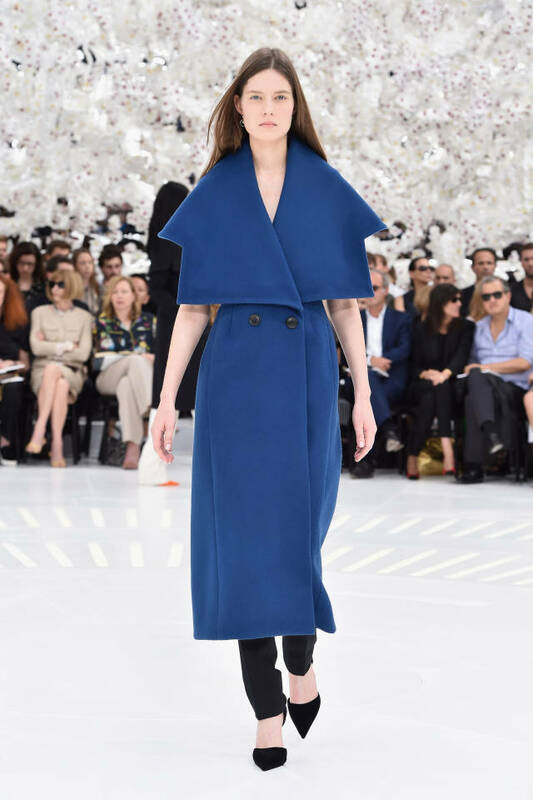 Here are our favorite looks from the Dior Haute Couture show in Paris yesterday. Held in the Rodin museum in Paris the show did not disappoint with a huge number of looks for a couture show and an extremely diverse color palette. 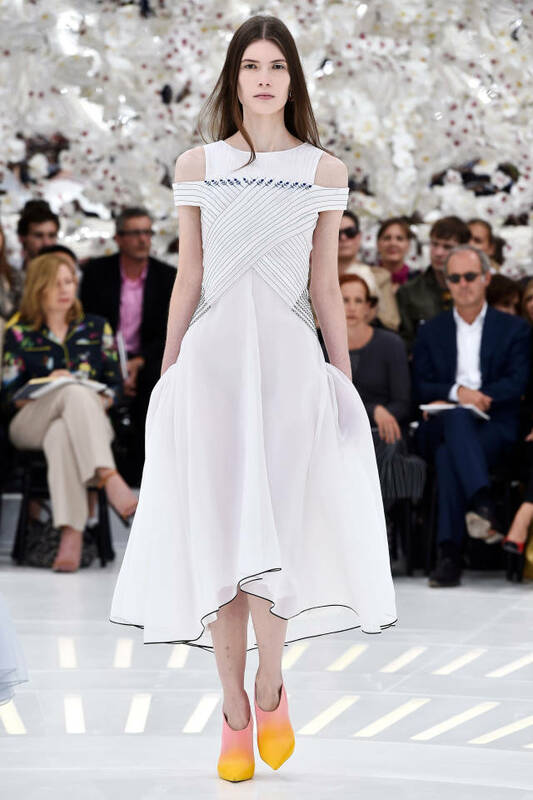 The collection paid hommage to the Dior women through the ages starting with the classic Dior tulip skirt and princess ball gown and finishing with refined, somewhat simplistic outfits suitable for a modern-day princess. The sweeping ball gowns, the heavy frock coats and the pastel colors fit directly into the Dior’s historical archive. Raf Simmons, two years after taking over as creative director of channel has managed managed in modernize, simplify and streamline the modern day Dior women. 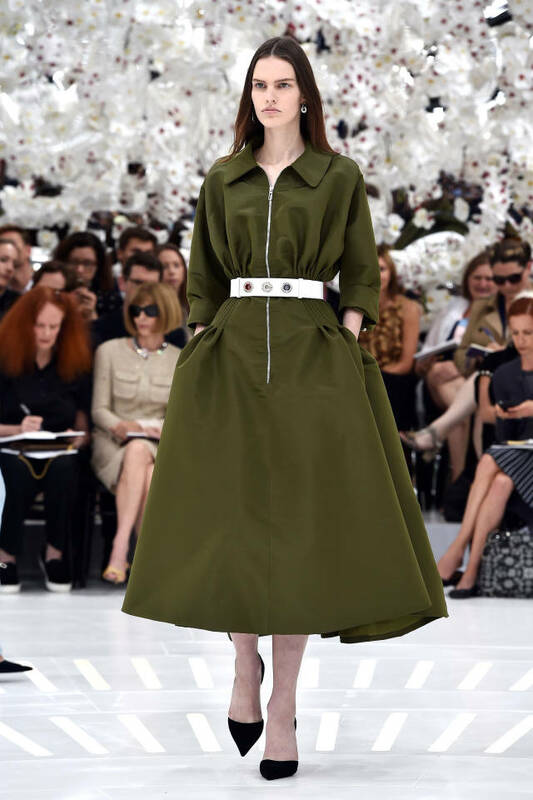 The looks above for the RdR team, truly embody the classic Dior identity but are coupled with the spirt of the modern women from the blue frock coat paired with black suit pants and court shoes, to the powerful olive green zip dress with an embellished belt, to the white princess dresses decorated with modern detailing – the perfect combination of modern day Dior.